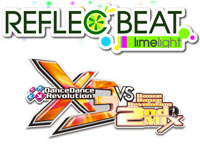 Konami has announced DanceDanceRevolution X3 Vs 2nd Mix release for November 30 and REFLEC BEAT limelight release for November 24 but it's a surprise that the last BEMANI musical games are available since today. Now DanceDanceRevolution X3 Vs 2nd Mix songs list reaches 480 songs. "2ndMix Mode" lets you play an HD version of DanceDanceRevolution 2ndMix released in 1999 and to which the e-AMUSEMENT support was added. 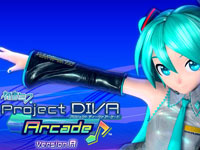 Other modes have been added: the "Quick Play Mode", a variation of Marathon Mode appeared in DanceDanceRevolution X2 and the "Premium Mode". Improvements were made â€‹â€‹to the interface: color menus, animated backgrounds, the "Benami Title sort" that allows the player to sort songs by BEMANI games from which they originally come. Another new feature, the "Target Score" allows the player to see other players records without playing the song. On REFLEC BEAT limelight side, there are now 130 songs available, including 50 new one. Konami has worked on improving communication between players, variety of songs styles, game customization and a wide variety of game modes. 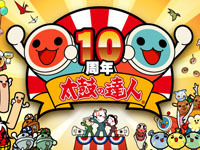 To celebrate the 10th anniversary of its famous series of musical game with drums Taiko no Tatsujin, Namco releases tomorrow a new episode in a brand new cabinet: Taiko no Tatsujin Shin Kyota. This new cabinet now has an 32" LCD monitor and additional speakers. As usual, there are songs from different styles: J-Pop (which Kaze Fuiteiru recorded by the group AKB48 for Taiko 10th anniversary), anime music (Pokémon, One Piece, Gintama,...), video game music (Tales of the Abyss, Druaga, Idol Master 2,...), classical (Beethoven) and Namco original compositions. New songs will be added from time to time through the net, the game is now connected via Namco network. Taiko no Tatsujin Shin Kyotai supports the Bana Passport card: each game, the player earns points and can unlock hidden songs and costumes for Don and Katsu. 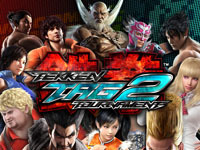 Tekken Tag Tournament 2 is updated by Namco Bandai today. This upgrade, known as "C08", provides technical adaptations to adjust some characters commands. Moreover, Tekken Blood Vengeance DVD, edited by Kazé, will be released in Europe on November 23. Produced by Digital Frontier (Appleseed), directed by Yoichi Mori from a screenplay written by Dai Sato (Cowboy Bebop), this animated film was released in theaters in July. World Club Champion Football Intercontinental Clubs 10-11, the latest version of Sega's football management game series that combines arcade and collectible card game is out today. In addition to traditional players and teams data update, seven new clubs are entering the competition that now includes 22 teams: Santos FC, Olympique Marseille, Borussia Dortmund, Ajax, CSKA Moscou, Benfica and Sampdoria. 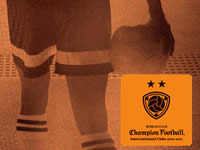 The "All Time Legend" card set is back, where we find legendary players such as Marco Van Basten. Cards, always produced by Panini are divided into three categories according to their rarity: regular cards are white, special cards (especially popular players) are black and the rare cards are metallic. "World Championship Winners" tournament now includes foreign teams in addition to the best Japanese teams, the goal for the player is to become the best coach in the world! Regarding gameplay, two new parameters are now to be considered by the player: the "super sub" and "team moral effect". WCCF 2010-2011 runs on RingEdge, it is available in 8 player or 4 player sattelite setup and is compatible with Sega ALL.Net network. 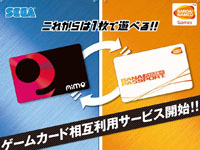 Sega and Namco Bandai have teamed up to make life easier for Japanese players: today, Sega Aime card and Namco Bandai Bana Passport are compatible. Furthermore, players can transfer their data from one card to another to keep only one of the two. For now, the following games are concerned: Sega Network Taisen Mahjong MJ5, Hatsune Miku Project DIVA Arcade, Sengoku Taisen 1570, Star Horse 3 et StarBoat on Sega side. And on Namco Bandai side: Dragon Ball Zenkai Battle Royal, Mobile Suit Gundam: Senjo no Kizuna, Tekken Tag Tournament 2, Taiko no Tatsujin et Wangan Midnight Maximum Tune 4. Mobile Suit Gundam Extreme Vs. is updated once again today. This time, Namco Bandai added the mecha called XM-X1 Crossbone Gundam X-1 Kai Kai "Skull Heart" operated by Tobia Arronax. This mecha has been seen in these mangas: Mobile Suit Gundam Crossbone: Skull Heart (published between 2003 and 2004) and Mobile Suit Crossbone Gundam: Steel 7 (published in 2006). 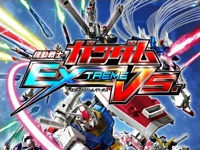 Namco Bandai also announced a PS3 release of Mobile Suit Gundam Extreme Vs..
Hatsune Miku Project DIVA Arcade Ver.A REVISION3 is available tomorrow in Japanese arcades. As for previous releases, new songs are added and the next module will be available soon for Revision3. Other changes mainly affect interface: songs order has been changed in the selection menu, competition mode selection menu is clearer, length of song titles change from 10 to 14 characters. Another change concerns the official ranking, now if a player has not used his IC card for 6 months, his results are no more displayed on DIVA.NET but if he uses again his card, the results will reappear. 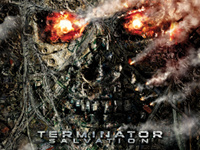 Arcade Belgium will organize a Terminator Salvation tournament in Liège on Friday November 4th, 2011 at 19:00. It will take place at the Jeux Américains mobile arcade located in Parc d'Avroy (near Liège-Guillemins train station). Grand prize: a Panasonic Blu-Ray/DVD player with SD card support. The 16 best players will win a T-shirt. Tournament entry fee is 5 €. Tickets are already available at Jeux Américains arcade. Tickets will still be available during the first round of the tournament (first round that will last between 40 and 80 minutes) so don't worry if you can't make it to the place for 19:00. Please note that tickets are not refundable, even if you can't enter the tournament. Here's how it will work: pairs of players will be draw. Each pair will play a whole chapter of Terminator Salvation arcade game (deaths don't matter). At the end of each chapter, the winner will be chosen (number of killing streaks, number of kills and accuracy matter). It will be a single-elimination tournament so the loser will be eliminated. However, if the number of players for the second is not 8 or 16, "lucky losers" will be draw to re-enter the tournament. Just before the finals, a match will be held between the losers of the semi-finals for the third place. Come and enjoy! Melty Blood Actress Again Current Code Ver1.07 is available in Japan today. This latest version adds a new character: Archetype Earth which has the particularity to be able to fly and which was created especially for advanced players. 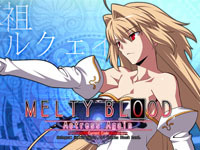 Type-Moon also announced that Melty Blood AACC Ver1.07 will also be released on PC: it will indeed be available bundled with the third Blu-ray of Carnival Phantasm, the OAV series created to celebrate Type-Moon 10th anniversary which contains various characters from Type-Moon works such as Kara no Kyoukai, Fate/Stay Night and of course Tsukihime (which Melty Blood is based on). Two days ago, Hors Collection editions published in their "nostalgie" collection a book on video games from 70's to 90's. 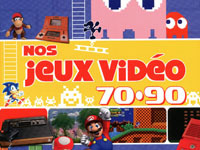 Entitled "Nos jeux vidéo 70-90", the book is written by Marc Lacombe, former host of Game One and Nolife channels, better known by his nickname Marcus and journalist Philippe Kieffer. The publisher presents it as a complete and illustrated overview of the history of video games. Subtitled "De la raquette de Pong au racket de GTA, l'irrésistible ascension des jeux vidéos", the book talks about console games as well as arcade games with titles such as Pong, Space Invaders, Galaxian, Galaga, Pac-Man and Donkey Kong. The book is in french and has 144 pages illustrated in color, it's price is € 24.90.